Hosted by Australia’s leading magazine for the manufacturing industry, Manufacturers’ Monthly, the Endeavour Awards program celebrates and recognises the achievements of industry leaders in their drive to achieve ‘best practice’ in manufacturing. A record number of entries have been received this year, making this the biggest event in the 10 year history of the Awards. A total of 13 awards will be presented on the Awards night. Each award will celebrate the achievements of the people behind some of the country's most innovative manufacturing companies. Final winners will be announced on the 9th May 2013, during Australia’s biggest and best Manufacturing Awards night of the year. 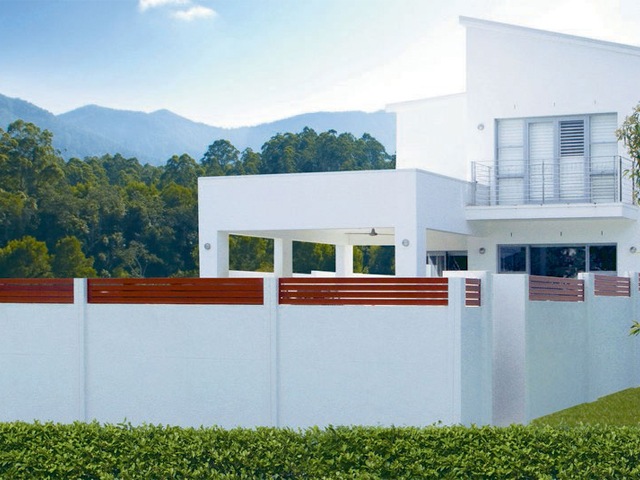 SlimWall Designer Fences are the popular panel fencing innovation that combines a stylish, premium look with proven noise reduction qualities. No longer do home owners need to settle for a fence that does not match the architectural integrity of their homes, or suffer from increasing noise levels in (sub)urban neighbourhouds. Designed with the DIY handyman in mind, SlimWall is installed within a few days. SlimWall can be custom finished to seamlessly integrate with the existing look of the home. Adding slats, infills, lighting and even a texture paint finish, it's all possible with SlimWall next generation fencing.